Jane Seymour at Ocean Galleries, Stone Harbor and Avalon, New Jersey The award-winning actress and artist Jane Seymour brought her collection of paintings to Stone Harbor over Memorial Day weekend. 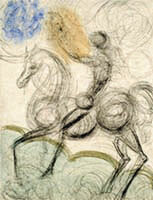 “The Art of Jane Seymour” was on display May 26-28 at Ocean Galleries. Receptions with the artist were also held, giving fans and collectors an opportunity to meet with Jane Seymour. 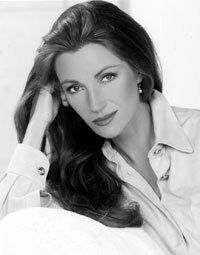 Jane Seymour began painting nearly a decade ago. Prompted by a period of personal challenge, her art became the expression of a very private healing process. She emerged from this experience as an accomplished, passionate painter and has created an intimate world of delicate watercolors and colorful, vibrant oil paintings. Often described as a California colorist, Seymour paints colorful flower arrangements, detailed landscapes and lush gardens as well as numerous beachscapes and figurative paintings. Ocean Galleries in Stone Harbor, NJ will hosted an incredible exhibition of original artwork by Picasso, Dalí, Matisse and Miró, the most influential artists of the Modern Art movement, for ten days this summer. This event included special receptions beginning with curatorial lectures. The Bold innovations of these five important artists were a reaction to what they saw as a stagnant idea of art in the twentieth century. They experimented with new looks in painting that reflected a rapidly changing time, and broke all the rules and structures of art. In addition to painting and other mediums, all of these artists were devoted to making original fine-art prints. These prints were a means of artistic expression that offered the artists new vehicles for creating and have long been coveted by the great museums and collectors of the world. Ocean Galleries welcomed the extraordinary young artist, Alexandra Nechita, back to the Jersey Shore for her second consecutive summer exhibition. Her “Quest for Peace” collection of over 50 paintings and sculptures opened on Friday, Aug. 3 and ran through Sunday, Aug. 5, with Alexandra making personal appearances during intimate receptions throughout the weekend. Hailing from Romania, Alexandra began drawing at the age of two and was painting with oils and acrylics by the age of seven. Her first exhibit, a one-woman/child show, was held at a Los Angeles public library when she was just eight years old. Alexandra’s talent was instantly recognized as capacity crowds came to see her amazing and often monumental abstract paintings. The press soon labeled her “The Petite Picasso,” drawing the attention of art critics and media around the world who began claiming her as the rarest of child prodigies – an artist who had mastered drawing and color, and who had created a visual language of her own, by the young age of nine years old. On Labor Day weekend, Ocean Galleries hosted an art exhibition titled, “Palette of Colors–Favorite Places and Things,” featuring the work of palette-knife artist Barbara McCann. The exhibition marked McCann’s first appearance in New Jersey and featured more than 30 of her original paintings as well as limited editions on canvas and paper. 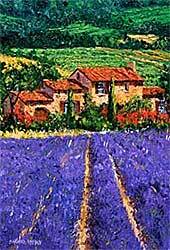 Barbara McCann was born and raised in the rural environs of Newcastle in western Pennsylvania. She began her artistic endeavors as a child and, upon graduating from high school, she completed a four-year apprenticeship in architectural illustration and design. In 1973, she moved to Florida and ran her own architectural illustration studio which she maintained for twenty years. Her skills in art and architectural illustration led to a decade-long relationship as an instructor with the Ringling College of Art & Design. Over the course of her career, McCann steadily expanded both her commercial and fine art clienteles, which led her to establish a gallery in Sarasota, Florida. She continues to live and work in Florida and finds aesthetic inspiration both near and far — from the sunny climate of her home to places she has visited throughout her life, such as, the Caribbean, the West Indies, Central America, Greece and Europe. Theodor Seuss Geisel began his career as a little known editorial cartoonist in the 1920s. His unique artistic vision emerged as the thread which linked every facet of his varied career, and his artwork became the platform from which he delivered 44 children’s books, over 400 World War II political cartoons, hundreds of advertisements, and countless editorials filled with wonderfully inventive animals, characters and clever humor. Geisel single-handedly forged a new genre of art that falls somewhere between the Surrealist Movement of the early 20th Century and the inspired nonsense of a child’s classroom doodles. In 1997, for the first time in history collectors were able to see and acquire lithographs, serigraphs and sculptures reproduced from Geisel’s original drawings and paintings. This opened the world’s eyes to the unique artistic talent of Dr. Seuss. Some of the pieces known as The Secret Art show a side of the artist that readers, familiar with his classic children’s books, have never seen. These works break new ground, using a dazzling rainbow of hues not seen in the primary-color palette of Geisel’s books for children. Geisel had also embarked on an ingenious project in the 1930s as he evolved from two-dimensional artworks to three-dimensional sculptures. What was most unusual for the mixed media sculptures was the use of real animal parts, including beaks, antlers and horns from deceased Forest Park Zoo animals where Geisel’s father was superintendent. 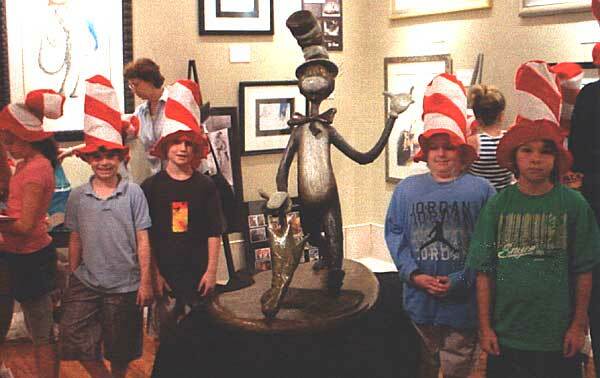 A four foot bronze sculpture of The Cat in the Hat, created by famed artist Leo Rijn, was also a part of the exhibition at Ocean Galleries. The extraordinary piece was created in celebration of the significant and lasting impact of one of Theodor Seuss Geisel’s most popular books, “The Cat in the Hat,” currently celebrating its 50th anniversary.